Happy Birthdays are remembered when they are celebrated with loved ones and friends in a special setting. You furnish the birthday and we will furnish the private special setting. Depending on the weather you can stage your event for both indoors or outdoors. Plan your special day for up to 70 guests. Frazier Gardens and clubhouse feature large lawns, covered dance areas with patios covered with large trees and beautifully landscape. 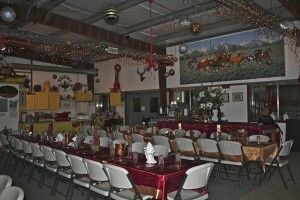 Celebrate your day outdoors and dine with your guests in our 2,000 sq foot reception center complete with 70 chairs and tables, kitchen with granite counters, 2 bathrooms one decorated for a princess and men’s decorated in cowboy theme. Anniversaries are a test of time and love. Whether it is your 1st or 60th reconfirm your love for each other with your friends and family at our 2.5 acre landscaped park and 2,000 sq foot clubhouse. Dim the lights for your special dinner. Invite family and friends to use our microphone system to tell a story or a happy memory of times spent with you. Quiet indoor or outdoor accommodations for your seminars, company picnics, holiday dinners and award functions. Family Reunions are times when a family gets together to catch up on family and visit with cousins, aunts and uncles. Our events can last 2 days with buffet breakfast and barbecued dinners, swimming and games either indoors or outdoors. For our family reunions we hire a cook who takes care of our meals and has been a great idea. When quiet and private are important to remember and share with family and friends the passing of your loved one we have indoor and outdoor private areas for you to sit or walk around our 2.5 acre fully landscaped park. Retreat to our indoor, air conditioned or heated clubhouse and sit in our 70 chairs and tables for a buffet or sit down dinner supplied by you or catered. Christmas dinners are very special at Frazier’s our clubhouse is decorated with lots of Christmas lights and a full Christmas tree. Carousel horses, carved reindeer and lighted horses magically transform our facilities for a joyful dinner with family, friends or co-workers. Santa’s are always welcome. Our Cluhouse is over 2,000 square ft, has air conditioning and heating. Clubhouse has a fully stocked kitchen with large bowls, platters, serving utensils and granite counter tops, large commercial refrigerators. Plan a Buffet, sit down dinner, potlucks or catered dinner. Lighting can be changed for dining or full lighting for workshops and training seminars. Large TV screen with separate mikes. Women’s bathroom is decorated for a princess in peach roses and butterflies. Men’s bathroom is decorated with running horses and cowboy items. Outdoor areas with Covered patio area are great for dancing. Shaded patios and walkways function as buffet lines. Gardens include a large grass area great for receptions or dining areas. Parking lot has large lights and we can park 45 cars on property. Train room and Museum invite your guests to check out our train collection, wood carving characters and rock collection and meet Alexander the war horse.